Not utilizing Objective Campaigns in the right way or if they do, they use wrong creative / media type. 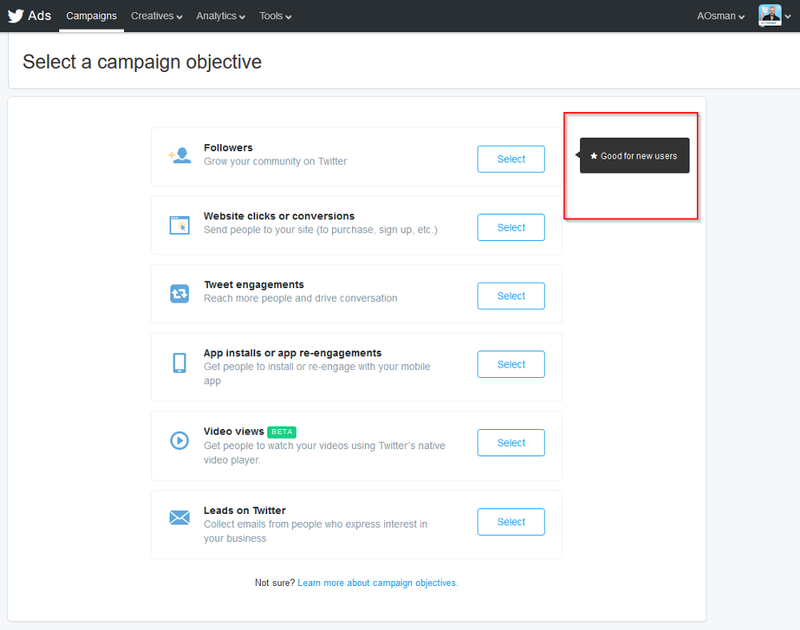 Twitter had introduced Objective Campaigns for almost 2 years now, to help advertisers optimize campaign performance with Twitter Ads. Objective Campaigns help advertisers setup the best product based on the objective of their campaign and to be able to select the best ad format. As you can see above, hovering on any of the objective will show a hint about the selected objective. Still, many advertisers would select Tweet Engagement objective and expect lower conversion rate/prices (clicks to website). For website clicks advertisers should be using “Website clicks or conversions” as the system will automatically optimize their campaigns for CPC pricing. Almost 90% of advertisers do this mistake, and it’s basically a mistake that agencies does. They get the client’s brief about a certain campaign, the brief is about wide range of targeted audience, campaign managers wold then select “all targeting” options available on twitter with very wide range of target audience. It’s recommended to divide your campaign budget into many item lines and for each line narrow your targeted audiences. Instead, narrow the targeted audiences and dedicate tweets with messages that is more relevant to that specific audiences or else you would be killing your engagement and that will affect the tweet’s Quality Score resulting in very high prices. Relevancy is one of Twitter Ads Success Keys. Although it’s mentioned on Twitter Ads Dashboard that you should select more than one tweet for your campaign, many advertisers still promote “Single tweet” which results in higher cost, but, why? 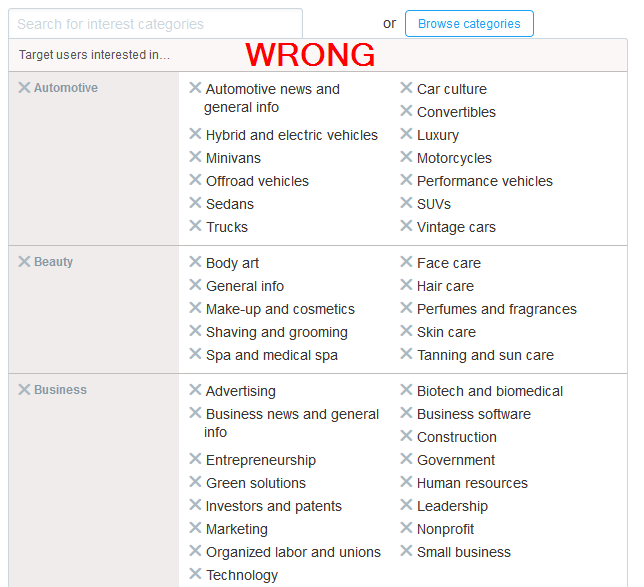 It’s simple, twitter can’t simply show the same tweet many times, it’s actually written in the advertising policy. We’re focused on providing a great user experience, first and foremost. As a result, we’re being thoughtful in how we display Promoted Tweets in users’ timelines conservative about the number of Promoted Tweets that people see in a single day. You will start noticing that your tweet’s impressions goes down in a very short time and the average cost increasing dramatically. Same as the above, even if promoting multiple tweet, the quality score will still go down ad the tweets are not “fresh” — resulting in higher price to win an auction vs fresh tweet by other advertiser. 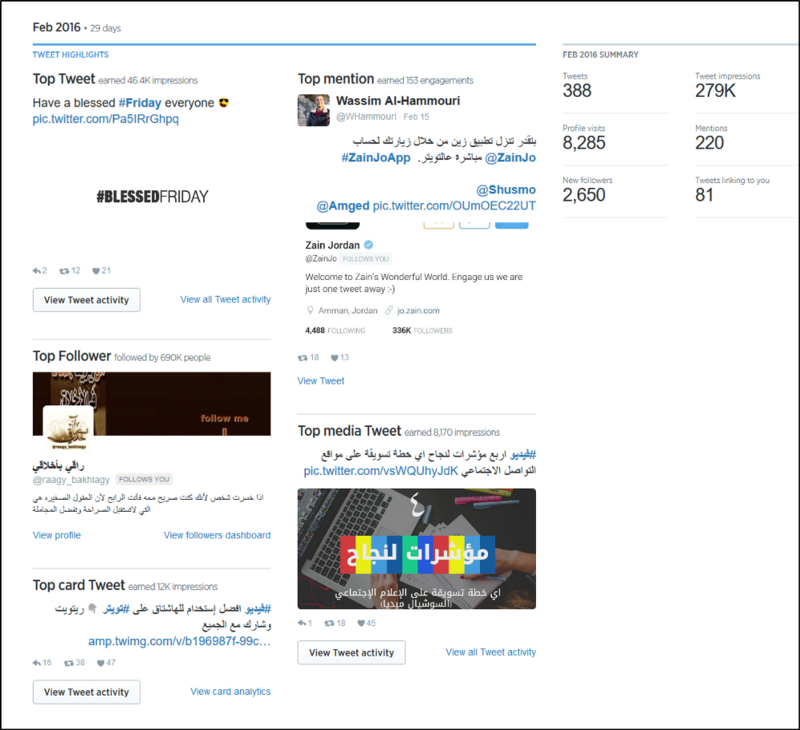 Twitter Analytics Dashboard comes with an amazing feature that reports results back to September 2014 or when your account first accessed Twitter Analytics, whichever is more recent. Many brands also spend bigger part of their budgets followers campaigns, it’s WRONG! Successful brands spend around 15% of their overall budget on followers campaign, leaving 85% on other objective. So let me put this straight; Video Views Objective Campaigns are the cheapest product on Twitter and most effective! 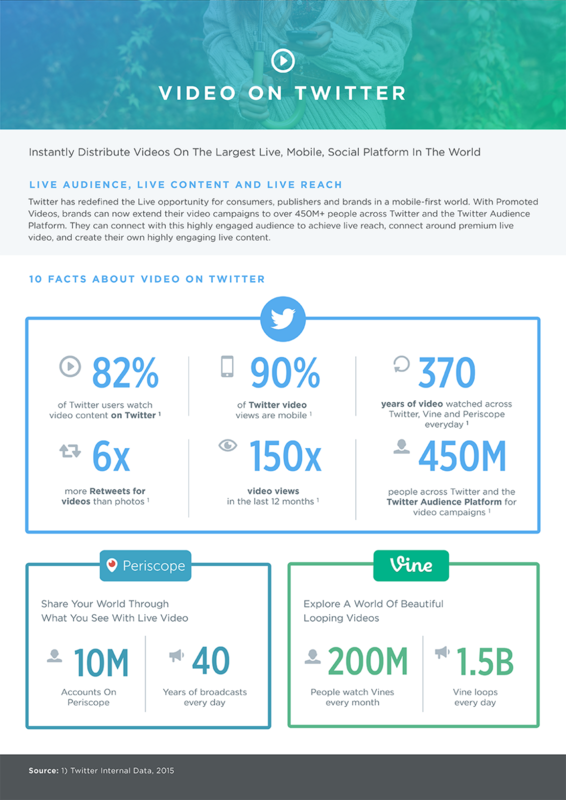 here’s 6 reasons what brands should be using Twitter Native Videos vs other Video providers like YouTube for example. It’s actually one of the most important things brands need to do before start advertising. Recently, Twitter joined the rest of all major social networks and introduced “Universal Tag” it’s basically a pixel that gets to be put within you’re website pages and track every action coming from Twitter. Using conversion tracking you can divide your audiences based on actions they took on your website. 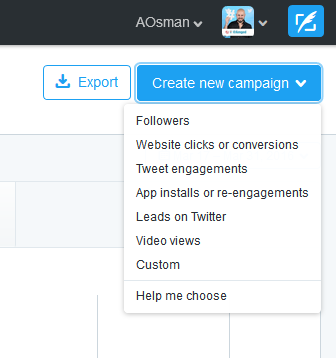 Twitter ads editor was introduced in Q3 2015, It’s a tool tailored for larger advertisers who want to manage and optimize many campaigns at scale. This tool is a bit advanced and requires manual edits of excel sheets that is actually exported from the dashboard and re-imported after modifying it manually. The documentation is really helpful and full of hidden gems!